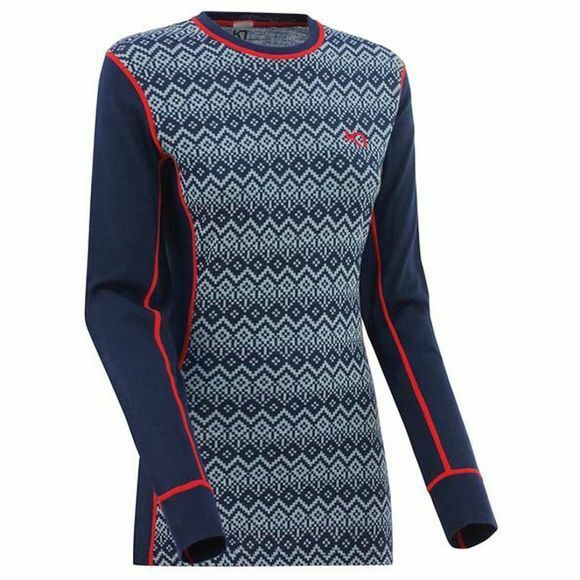 The Womens Vrimmel Long Sleeve Top from Kari Traa is made for all types of cold weather outdoor activities, the Kari Traa Vrimmel LS is a warm wool mix base layer with sporty jacquard knit patterns. Fine Merino wool blended with technical fibers creates a soft, medium weight fabric with good warmth, natural odor resistance, and breathability. The fit is slim and feminine with 4-way stretch and underarm panels that give a wide range of motion.